The Isle of Axholme charity, Pride of The Isle, will continue to grow as a charity organisation and support the community, despite the recent announcement that trustee member and one of the initial charity founders, Maxine Strong, will step down. Five years have passed since the tragic loss of Maxine’s son, Alexander Strong, who sadly died from cancer neuroblastoma and it was following Alexander’s initial diagnosis, that the charity was formed. Since its creation, Pride of the Isle, has supported poorly children, adults and their families in the community who are dealing with terminal illness. The charity, its trustee and charitable donators, have worked very hard over the last few years to buy specialist equipment and to help create memories that will have a positive impact. Despite very solid connections with the charity, Maxine Strong will no longer be a part of Pride of The Isle and will move onto other projects and continue her successful work in different avenues. 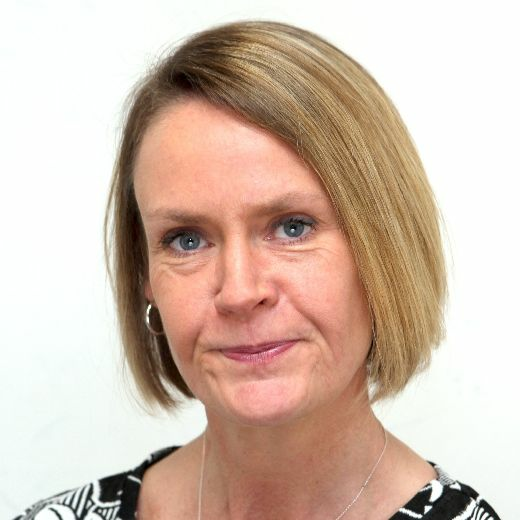 Charity Chair and trustee member Leesa Sharpe said: “We would like to take this opportunity to thank Maxine for all her hard work, commitment and dedication she has shown throughout the years ‘Pride of The Isle’ has been active. “What we have done since the start of the charity is just incredible and of course, Maxine has played a vital part in this success. “We wish Maxine all the success in the future and Alexander Strong will always be the name and person synonymous with Pride of The Isle. Maxine said: “It is with great sadness that I have made the decision to resign as Vice/Chair and Committee Member of Pride of the Isle. “Set up in memory of my son Alexander, “Lex’s Legacy” was the reason to raise money to help families like ours. “Over the years we have raised a phenomenal amount of money and helped support many families also including Bluebellwood Children’s Hospice, North Anston, Sheffield where Lex passed away on 25th January 2013. Over the past year with increasing concern and deliberation I find myself unable to continue my involvement with Pride of the Isle. “The essential and necessary unpaid hard work by volunteers, the intelligence, compassion and devotion that these volunteers bring and share, define and determine all charitable organisations. “Over the past 4 years Pride of the Isle has been extremely fortunate to have had many such volunteers, all from within our small giving community. Sadly, I have watched volunteer after volunteer resign taking with them everything a charity needs to survive. “Decisions have been made which I believe to be detrimental to our original goals and to the memory of my son Lex. Detrimental to the joy and wellbeing of volunteers and alas detrimental to the notion of democratic process. “I would like to thank all current and past volunteers for their precious time, dedication and hard work and all Professional Organisations who helped make Pride of the Isle successful. However, the lion’s share of my gratitude goes to the many, many people who generously donated pennies, a pound or two to help those less fortunate than themselves in the spirit of compassion and charity. “Going forward myself, Barbara Senior, Gabriella Brown, Katy Collins and Tanith Pearsall who have all stepped down as committee members will continue to fundraise under “Lex’s Legacy” and any money raised will initially be donated to Bluebellwood Children’s Hospice. Although Maxine has stepped down, the Charity have also recently announced the appointment of an additional Trustee member, Lynne Kerridge. Lynne said: “It is with great passion and enthusiasm that I shall be Joining Leesa Sharpe & Joanne Bale as Trustee to the charity Pride of the isle. Having worked within the retail sector for 21 years I then changed my Career path. I now work within the public sector serving the public within the Isle and surrounding areas. “I have worked closely with both Leesa & Jo for 3 years supporting them in their quest to help provide a better quality of life to those in need, I have witnessed so many amazing achievements and subsequent lasting memories being made.